In our seventh episode of Metagamers Anonymous, we feature a very special interview with RPG writer Johnn Four, creator of RoleplayingTips.com. Johnn shares some of his unique gamer wisdom with the show and enjoys a rare opportunity to hear how great he is and what a wonderful job he’s done supporting our industry with quality products over the past decade. Our cast then addresses some listener email and waxes on for a while about the balance between organic roleplaying and dynamic storytelling, and how they affect immersive play. 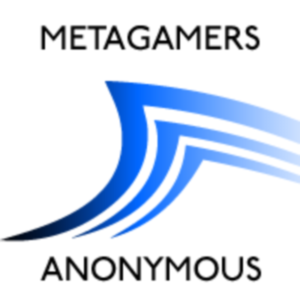 Metagamers Anonymous is a biweekly podcast dedicated to tabletop roleplaying games and (mostly) related material. Feel free to post any comments or questions to our forum, or drop us a line at feedback@prismatictsunami.com. and Paizo’s Second Darkness Adventure Path.